Review: Holly Martin is back with another romantic story set in a beautiful island with lovely characters! 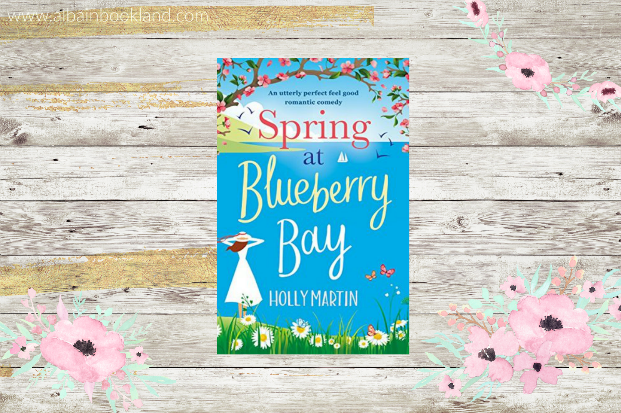 Holly's stories are always full of love and magic and Spring at Blueberry Bay is no different, in fact, her stories have become a bit like comfort food for me. A happy place where I can go to disconnect from the real world. In this one, we meet a new set of characters with Bella and Isaac as main ones. 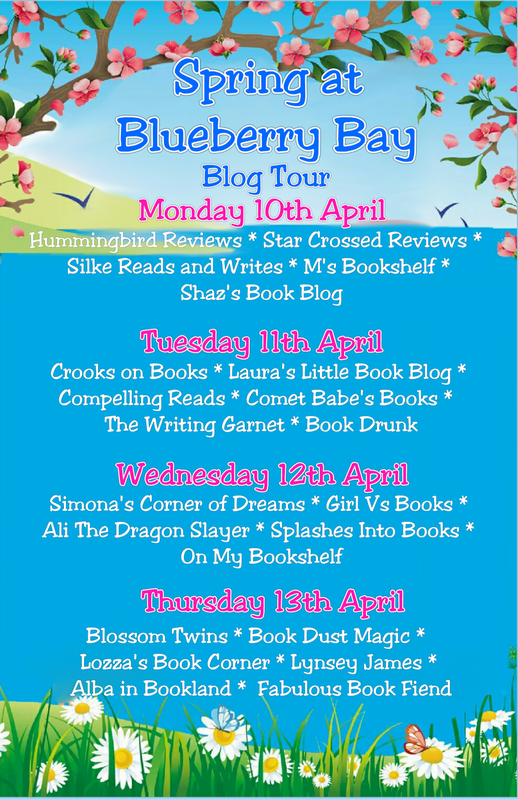 As usual, the connection between these two is immediate and it's quite clear for us readers that they'll end up together, not so clear for them though as the obstacles they need to overcome seem too much. 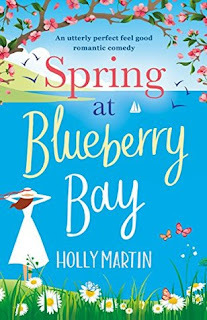 I have to say this one is not on my top Holly Martin's stories (she has so many that I enjoyed a bit more), maybe because it didn't surprise me as much as previous ones but I'm really curious to find out more about the community in this little island and how the stories develop for some of the secondary characters. One thing for sure though, she always makes me laugh several times during the story and leaves me with a huge smile on my face when I'm done reading. What else can you ask for? A recommended read for romance lovers that are looking for something a bit different and fun!